It is impossible to imagine the Cold War without espionage struggle, especially between CIA and KGB. “Spy Handler: Memoir of a KGB Officer” by Victor Cherkashin is a very useful book for everyone who is interested in secrets and the methods of KGB (the Comityet Gosudarstvennoy Byezopasnosti or Committee of State Security) that was founded in 1954 and is widely considered as one of the most powerful secret agency of the twentieth century. This book is a memoir of former KGB officer Victor Cherkashin. The author allows everyone to see the general picture of post World War II period, as well as a great number of small details that show the principles of KGB work and the life style of Soviet people. For example, Cherkashin pointed out that “if you can generalize about nationalities the Soviets were not a flexible people; they were pretty programmed” (Cherkashin (2005), p.86). It is obvious that it is very difficult to be flexible and to feel free in totalitarian state. Soviet people were not very different from the rest of the world per se but their conditions of life were not typical. Almost all their actions were under the control of the state, and, in particular, under the control of KGB that could do everything it considered right with this or that citizen. Cherkashin seems to be a real believer in communist future of his country until the collapse of the Soviet Union. He considered it possible to build a utopian system on the one hand, and to use totalitarian measures on the other hand. Cherkashin explains the way of thinking of KGB staff when they tried to find the man who betrayed the Soviet Union. Finally they understood that it was military intelligence officer Oleg Penkovsky. Any secret agency in any country always tries to find the people who are not honest before their country, and who try to sell the state secrets or in other form to work against the system. It was especially true for the Soviet Union that could not tolerate any such behavior, and tried to punish such people at the most effective (that sometimes meant: at the most cruel) way. Penkovsky knew that Cuba had tactical nuclear power, and this information influenced President Kennedy decision not to begin war or any aggressive measures against U.S. neighbor at that moment. So Penkovsky may be considered as a man who helped to save the world form World War III. However, Victor Cherkashin didn’t think so. He argues that Penkovsky’s actions and his information could make the situation worse, and could be the real source of military threat for the world (Rosenberger, 2005). Without any doubt, Cherkashin was a very talented KGB officer, and he was able to show perfect results even when he was working with Aldrich Ames and Robert Hanssen. It was his deep believes in socialist utopia and the Soviet Union as a powerful state that helped him to be highly efficient in realization of his mission. He understood that Ames, for instance, was not interested very much in ideology (neither capitalist nor communist) but he believed that he is greatly underestimated by his colleagues and by the U.S. system as a whole. Cherkashin also concluded that money was a really good motivation for Ames, and this deal must be very profitable for Soviets because the value of the strategic secrets available to Ames was much higher than the sum of money he was interested in. So Cherkashin was able to understand the entire picture, and to implement his plan. It is the example of high level espionage play. This book is also interesting and useful because it shows the inner world of KGB of that period. For example, he explains how “the rezidentura conducted a recruitment campaign against an ambitious young CIA officer who’d been observed contracting local agents” (Cherkashin (2005), p.104). Cherkashin shows the reader the most characteristic features of secret agency and its work both in Soviet Union and all over the world. 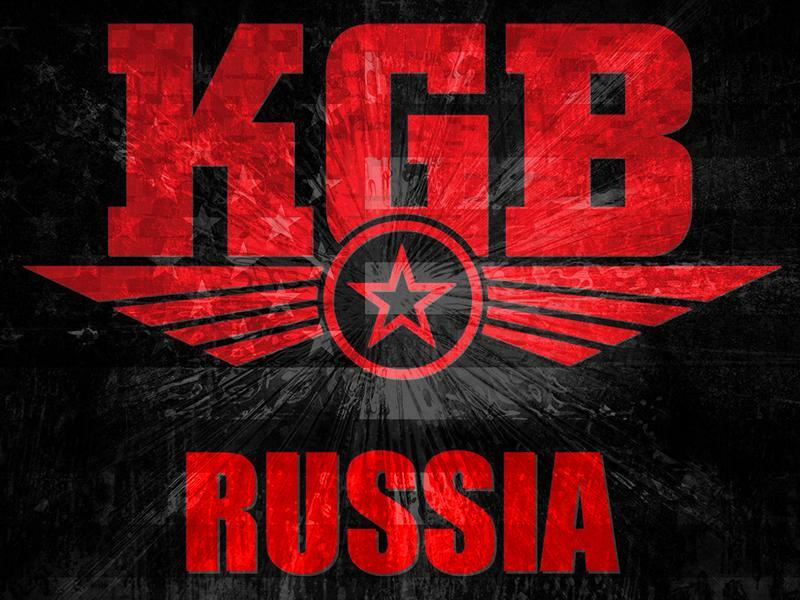 KGB analyzed not only foreigners and their secret agents but Soviet people as well. Cherkashin points out that “we targeted Soviets through agents who had access to them; it didn’t matter who they were: western diplomats, Lebanese, American businessmen” (Cherkashin (2005), p.86). Total control of all spheres of life was one of the main principles of the secret agency in the Soviet Union. However it seems that it was extremely difficult for ordinary Soviet citizens to live under such circumstances. Moscow centre was also a place where everything was not so obvious than it seemed at the beginning. Many secrets and plans were the part of the work. The career of any KGB officer was dependent not only of his talent and his results but also of the relatives and friends he/she had in the system. This was one of the reasons why not always the best people occupied the highest positions in KGB. Cherkashin stresses that KGB and other secret agencies in different countries usually recruited a small number of agents. The majority of these agents were volunteers who were happy to participate in international espionage play. The reasons for people to become a spy were not unique. They included a desire to have money or some plans for revenge and so on. There were very few people who had become a spy due to his/her ideological position (Ehrman, 2008). Probably one of the factors that helped Cherkashin to become one of the best KGB officer of his time was his strong commitment to communist ideology. So “Spy Handler: Memoir of a KGB Officer” by Victor Cherkashin is one of the most useful books of its kind, and it is worth reading for everyone who is interested in espionage and World history of the twentieth century. Cherkashin, V., & Feifer, G. (2005). Spy handler: Memoir of a KGB officer: The true story of the man who recruited Robert Hanssen and Aldrich Ames. New York: Basic Books.